Hello, all! 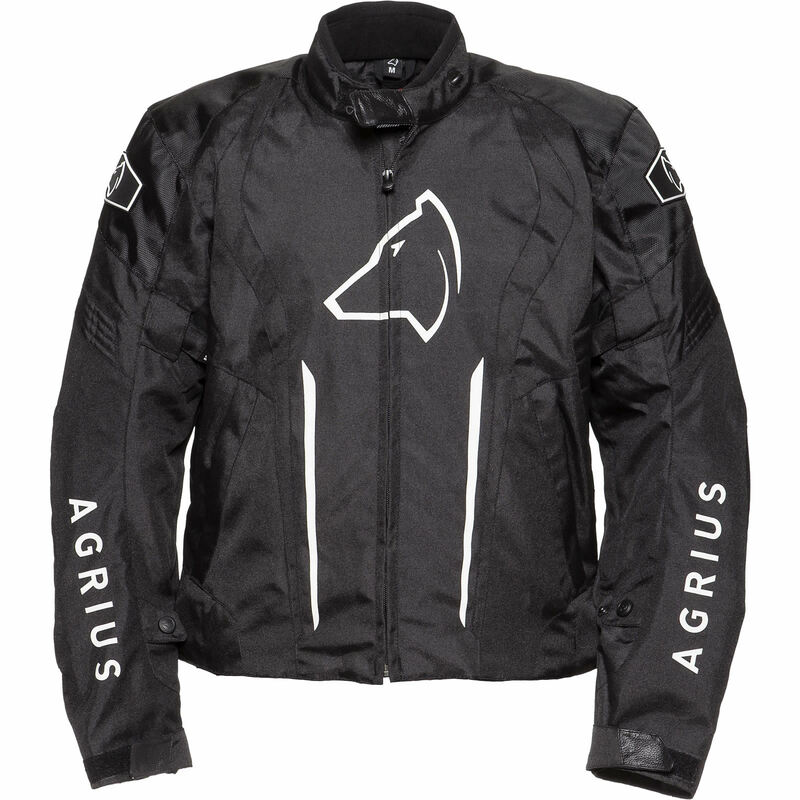 I’ve done plenty of posts on Helmets, Jackets and Trousers from other brands before but I’d like to make a few entries about some gear from one of our own brands- Agrius. 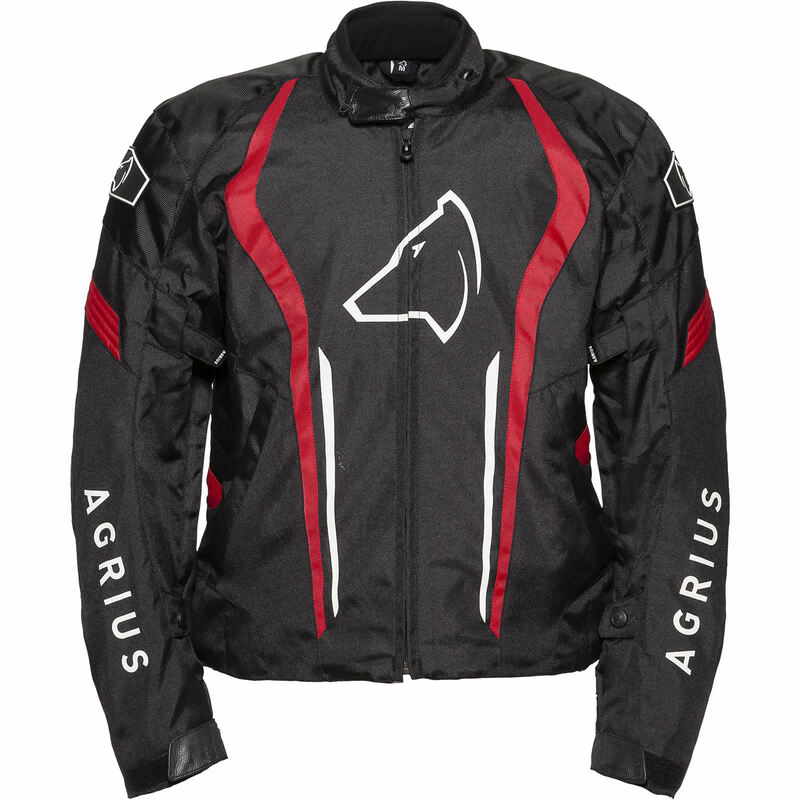 There’s a few products to go through but we have more Agrius Jackets than we do trousers or gloves- so I’ll start with one of those. The Agrius Phoenix Motorcycle Jacket! So a question we get a log of in the shop is “Why does that item cost more than this item?” Usually the customer is comparing one product from one brand with a product with that is one of our own brands, like Agrius, Shox or Black. The reason the prices are so affordable on our own brand items is simply because- they’re our own brand. Because we’re not under so much pressure to make money, unlike on brands that belong to other companies, we are able to pass that saving on to you, the customers. We want to put out our own brands at reasonable, affordable prices to both develop a name for them and to benefit you bikers out there. I’ll likely make another post that explains the reasons for price differences in products another time but for now- I’m going to focus on the jacket. 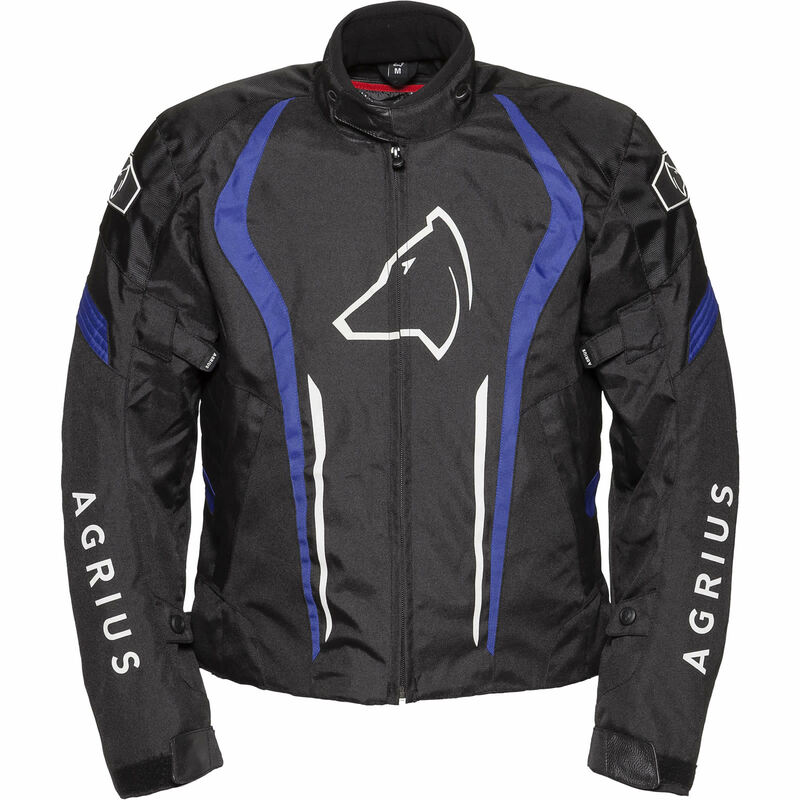 The Agruis Phoenix Motorcycle Jacket is a sporty cut, textile jacket made from a strong polyester construction, designed primarily for warmer weather but should still hold it’s own in less favourable riding conditions. Its an admirable attempt at being a more all-rounder jacket but with a more racer look to it. 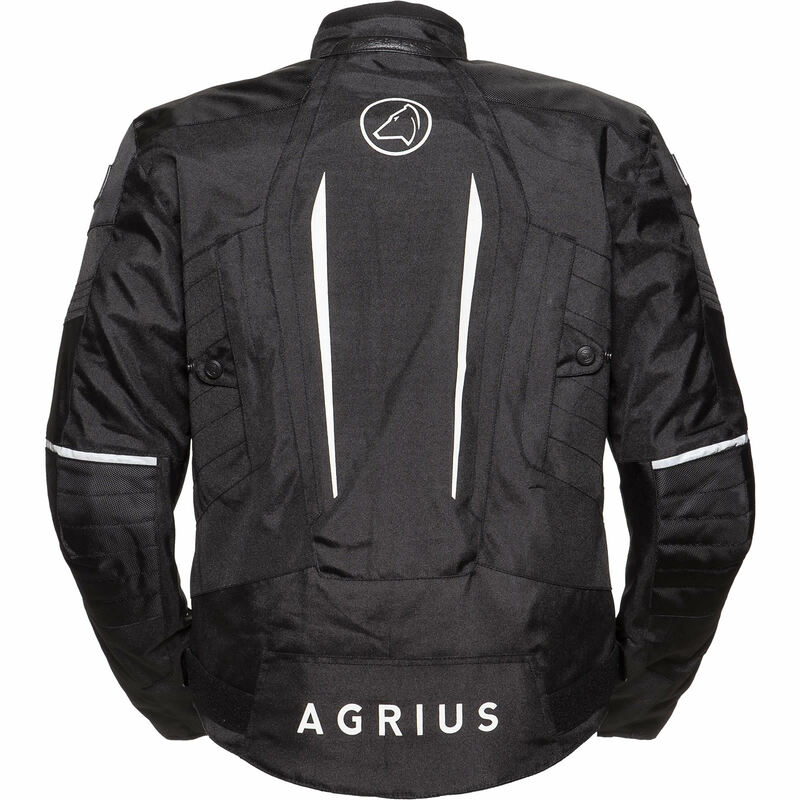 You can tell that the design behind the Agrius Phoenix is a little more summer or warm weather oriented, if anything, by the vents on the back of the jacket. There aren’t any vents on the front, so that means to get the best ventilation you’ll need to wear a more summer-y glove instead of another with a gauntlet that covers the jacket’s cuffs. This way air can flow up the arms and out the open vents at the back to keep you cool in the summer sun. The back vents can be fastened open as well, to allow as much of the hot air around you out as possible at any time. It also has many other features that all add up to this jacket being a bit of a Jack-of-all-trades. Lending to the sporty nature of the jacket- it features adjusters on the arms and waist so that the wearer can customize the fit and reduce drag from the wind. To help this jacket stand up to weather much less ideal for racers it has a few other things thrown in. The front zip has a storm flap that helps to keep wind and rain from getting in under the jacket which assists with the over all waterproofing of the jacket for wetter rides out. 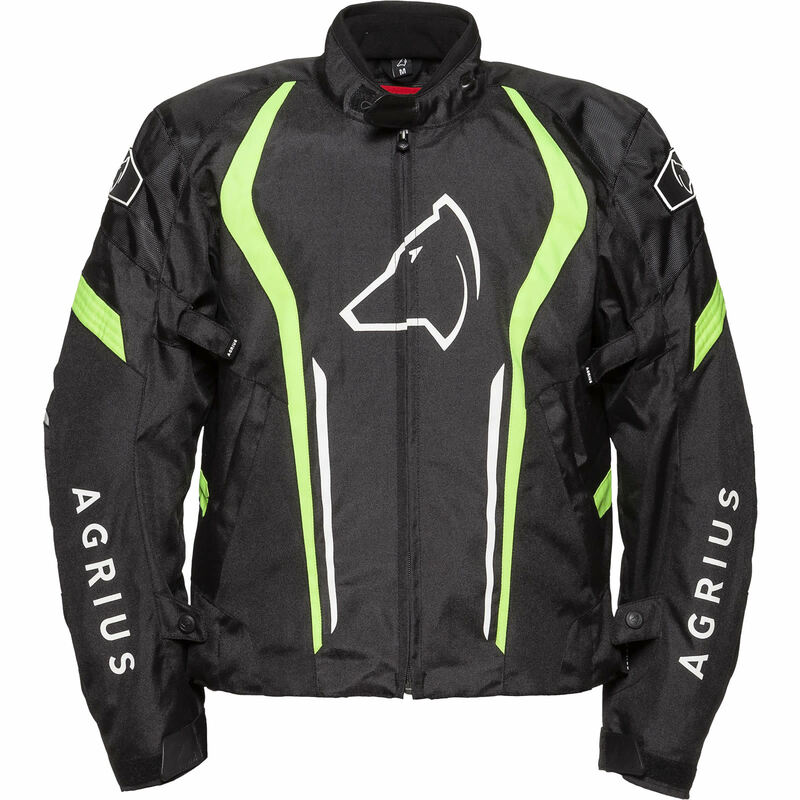 Aside from venting to keep the rider cool- it also has a removable thermal liner for keeping the rider warm during the colder seasons. To keep the rider from getting an undesired blast of cold air across the lower back it has two more features that may come in handy- a short zipper that allows you to connect the jacket with the Agrius Hydra Motorcycle Trousers. If its a bit warm for wearing motorcycle trousers, it also has a pair of belt loops so that you can still keep the jacket from riding up. There are a couple of things that could be better about the jacket, though. Firstly- the waterproofing does not extend to the two outer pockets on the front of the jacket. So if you’re riding in the wet and want to keep your valuables from getting soggy- it’d be better the try and fit them into the two inner pockets. There’s one on the inside of the main front zip and there’s another on the thermal lining. Another thing is that while the jacket does have a back protector- its much less for protection as it is there to give the jacket a bit of shape. It’s not great. The shoulder and elbow armour that comes with the jacket is CE approved though, its just a shame the back protector isn’t. However, the foam plate that is in there comes out easily and our own 5 Piece CE Approved Soft Armour will fit into the jacket nicely for as little as an extra £24.99. This armour will not only give you a better back protector but upgrade all the armour in the jacket to a CE Level 2 standard- its some of the best stuff out there and I use it myself. The Agrius Phoenix motorcycle jacket comes in a few extra colours as well. It’s available in Black, Black/Blue, Black/Hi-Vis and Black/Red. 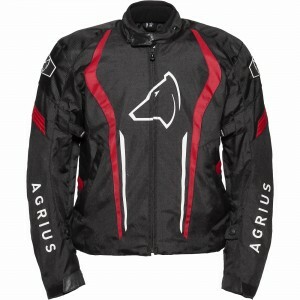 The Agrius Phoenix Motorcycle Jacket is available for just £57.99 in sizes S through to 5XL. 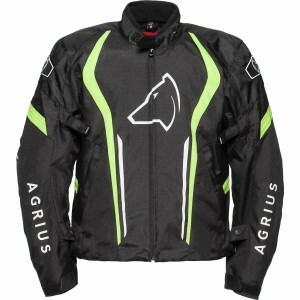 It really is an excellent choice of jacket for something that can do a bit of everything and is especially great for entry level riders and people shopping on a budget. Thanks for taking a look!